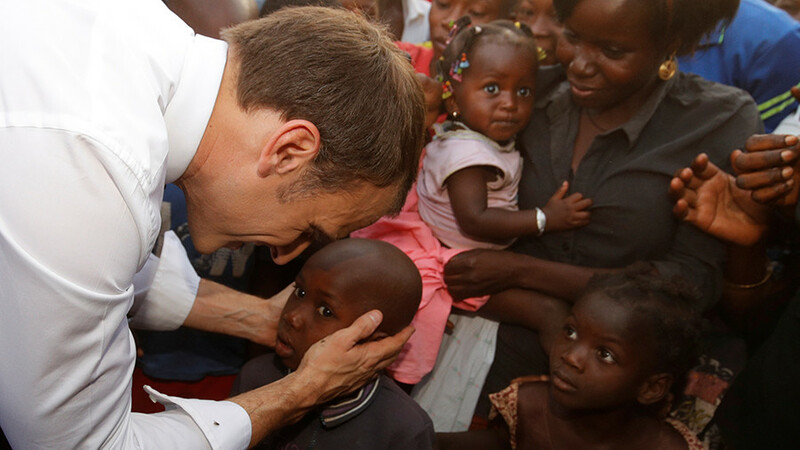 French President Emmanuel Macron is on an African tour, presenting himself as the leader of a new generation that will not lecture Africans. Nevertheless, he has been handing out quite a bit of advice, and not all of it went down well. Speaking with students of the University of Ouagadougou in Burkina Faso, the French leader said that the tradition of African nations reproaching France whenever something goes wrong should come to an end. — Emmanuel Macron (@EmmanuelMacron) 28 ноября 2017 г. “Sometimes you talk to me like I’m still a colonial power. But I do not want to deal with electricity in universities in Burkina Faso,” Macron said, and the audience reacted with laughter and applause. Warmed up by the response, the French leader carried on. “It is the work of the president [of Burkina Faso],” a smiling Macron said, pointing to President Roch Marc Christian Kabore, who was listening to Macron’s speech from the same stage. At this point, Kabore suddenly stood up and left the room. “He’s leaving… Stay there! So, he went to repair the air conditioning,” Macron said as the president was leaving. Kabore did not comment on Macron’s statement on Twitter, but tweeted that he only had “positive” memories regarding the visit. A video posted by Macron on Twitter leaves out his “air conditioning” comments addressed to Kabore. However, social media has been flooded with the ‘full version’ of Macron’s speech. Macron’s former presidential rival, Nicolas Dupont-Aignan, criticized his behavior in Burkina Faso. “Emmanuel Macron was arrogant with the [Burkina Faso] authorities, his behavior borders on racism,” he told Europe1 radio. — Europe 1 (@Europe1) 29 ноября 2017 г. Another comment that caused controversy was also made at Ouagadougou University. A female student wondered why the number of French soldiers in her country surpassed the number of freshmen from Burkina Faso in France. The comment divided people on Twitter, with some praising Macron, and others saying that French soldiers often abuse the population of Burkina Faso rather than protecting it. Macron also lost his temper in Burkina Faso when he was asked about human trafficking. — BFMTV (@BFMTV) 28 ноября 2017 г.
Burkina Faso is the first stop on Macron’s first African tour. He will next try to reset French relations with Ivory Coast and Ghana. Speaking in Hamburg in June, Macron created a social media stir after saying that Africa had "civilizational" problems and one of its main challenges was women having too many children. “When countries still have seven to eight children per woman, you can decide to spend billions of euros, but you will not stabilize anything,” he said. Following his speech, critics lashed out at the French leader, accusing him of colonialist and racist views towards Africans. While giving a speech in Brittany in June, Macron ironically compared fishing boats to boats used to transport migrants from the former French colony of Comoros in horrible conditions. “The kwassa-kwassa isn’t really used for fishing; it’s used to carry Comoran,” he said with a laugh. Kwassa-kwassa doesn’t always mean a fishing canoe, but people who die each year while trying to reach the French overseas territory of Mayotte, a major destination for illegal migrants. Comoran Foreign Minister Mohamed Bacar Dossar called Macron’s migrant boat joke “shocking” and “scornful,” and demanded a public apology. The Elysée Palace later issued a statement, saying that Macron’s “unfortunate” comment was “inadvertently” hurtful.